I'm so excited! 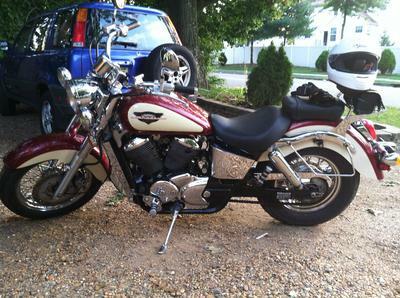 I just purchased a 1998 Honda Shadow Ace. This is my second bike; my first was a Suzuki Savage. My husband and I are new riders (we just got our MEs last November) and he bought a 1999 Shadow that I rode a couple of times and fell in love with. I don't know yet if it is a boy or a girl, but here it is! It's in the shop right now - we just picked it up from the seller today and dropped it off for complete service. I can't wait to get it back and make it truly my own! I have a '97 Shadow Ace and I love her! I am a newbie and she has been a very easy to ride. Have a great time on your new bike! What a beauty!! Congrats on the new ride!